The deep deep sea fascinates me. A world yet to be fully explored. Just two short years ago an expedition set sail, direction, the south west Indian Ocean. So remote few have investigated these waters before. 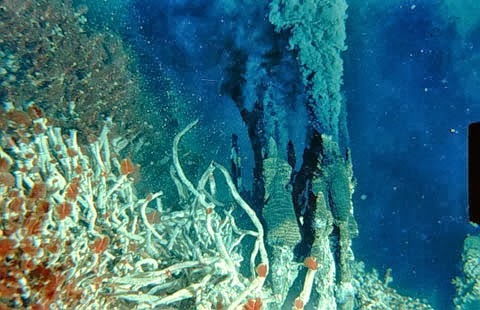 A quest, to find underwater mountains and smoking chimneys 2 km below. Pressures so immense our blood would turn to fizz and our oxygen to poison. 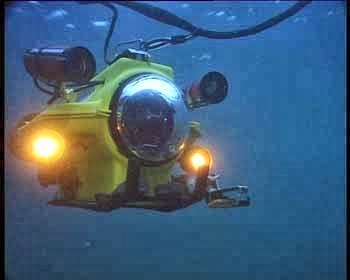 An alien underwater world so deep we send robots down to reveal. No light down here, surely nothing can exist? A discovery, a “Dragon Vent” new volcanic chimneys spewing water twice, three times as hot as that from the kettle you have just boiled. Akin to vents found in outer space, on another plants moon. Precious minerals from the earths crust pour out, copper, zinc even silver and gold. Strange creatures thriving, these chemicals not sunlight, to start a web of food. Bacteria, giant worms in tubes, clams, limpets, crabs and shrimps with no eyes. Unique creatures not found anywhere else. Alas we cannot just admire and learn, we must harvest and exploit. “International permission granted” yet another landscape to “mine”. Yet so much to learn, how did these alien creatures get here, do they know each other from another world? Their unique genes may reveal their story. How can we exploit them when we don’t even know how they became? Would you like to travel to the bottom of the ocean and explore? It is sad that the search for understanding and knowledge quickly become exploitation of resources.